Traditional meets trendy in this fun, tribal design. This design is composed of wavy ribbons covered in stripes, chevron, triangles- you name it!- in a variety of warm colors with teal accents. This design is simply stunning, and the beautiful blend of colors ensures versatility. Personalize the design by adding your name to the decorative, teal label. This design is part of the African Collection - browse for the other patterns & graphics in this collection. 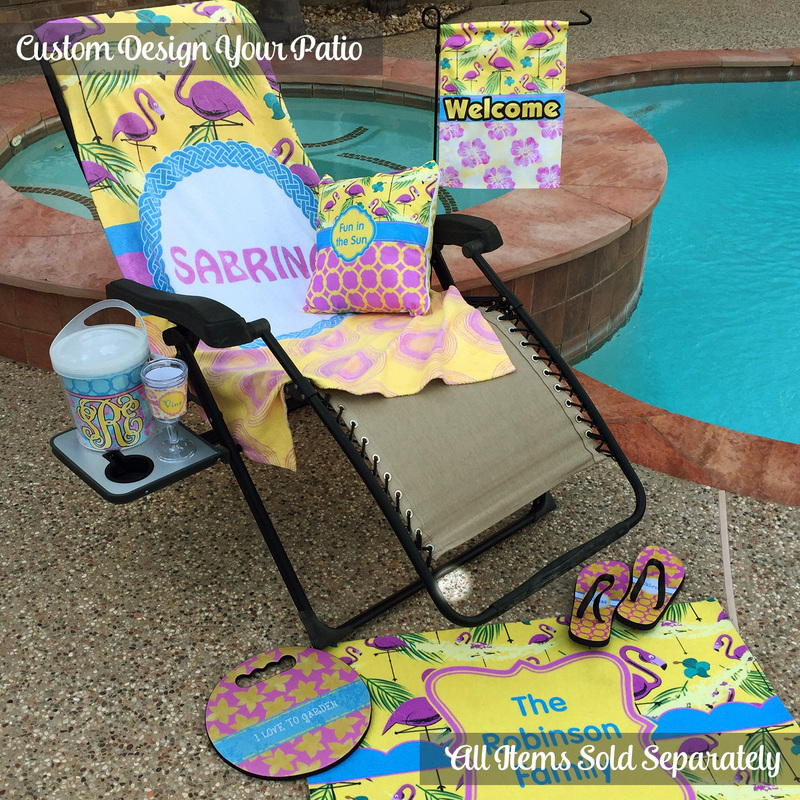 Add more fun in the sun with our personalized beach towels. They are perfect for using at the pool, at the beach, at home, or even to cover a yoga mat!! The towels are lightweight which makes them great for packing and taking on vacation. Their large surface area and absorbent material makes drying off quick and easy and you'll love how soft and luxurious they feel on your skin. Go into our design center to get started creating the perfect beach towel! Choose from thousands of fun backgrounds and patterns. You get to decide exactly how it's designed. Even choose to design it vertically OR horizontally! The choice is yours. And if you need any kind of assistance, we are always happy to help! If your are looking for more towels for outdoor use check out our personalized golf towels.